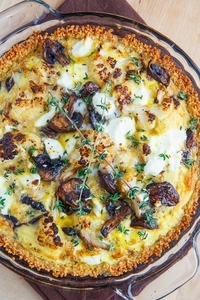 Quinoa Dinner Ideas - HealthySupplies.co.uk. Buy Online. We love quinoa! This handy little grain can be used in so many ways. We stock it in several different forms: flour, whole grain, puffs, flakes - the list goes on! These tiny grains are like tiny powerhouses of nutrition. They are high in protein and are a great source of fibre, iron, calcium and potassium. Compared to other carbohydrates they have a low glycemic index. This means that it doesn't cause blood sugar level spikes! 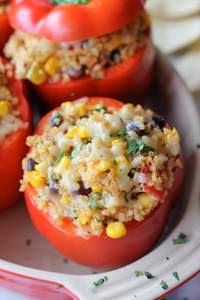 We never run out of ways to use it, but if you need some dinner inspiration, check out our top ten quinoa dinner recipes! 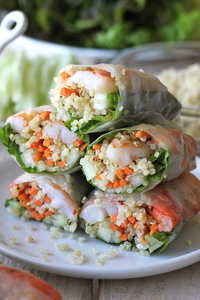 Quinoa is a wonderful protein-packed substitute for rice noodles in these easy spring rolls! 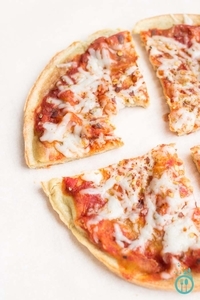 Do you know you can use quinoa grain to make this amazing gluten-free pizza base? Well you do now! Go forth and enjoy! Enjoy this tandoori dish alone or pair with a vegetable curry! Quinoa makes an ideal stuffing for vegetables! Mix with other vegetables, pulses and cheese for a delicious filling! 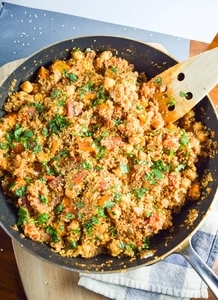 Quinoa makes an ideal substitution to mince. 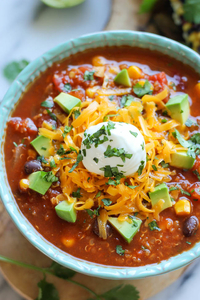 It contains high levels of protein and adds a great texture to chilli! 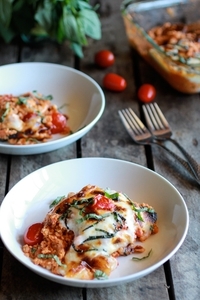 This delicious tomato and cheese bake is the ideal summer supper! Serve with a crisp green salad! Forget pastry crusts, this summer is all about quinoa crusts! Gluten-free and friendly on your tummy - what's not to like? Quinoa is actually more filling than traditional sushi rice. 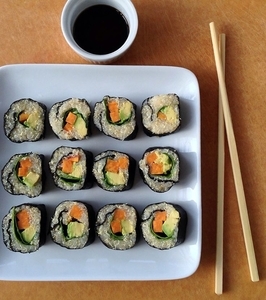 We think that quinoa sushi is tastier too! 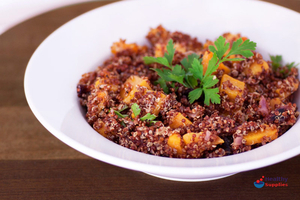 This warm quinoa salad makes an ideal lunch! Pecans and squash are like a match made in heaven! 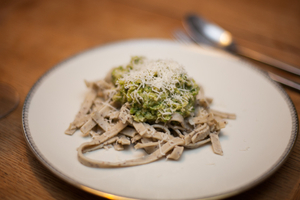 Use quinoa flour to make this delicious homemade tagliatelle! We have a wide selection of quinoa products! Including flour, wholegrain, milks, flakes and puffs! Ten Ways to Sneak More Vegetables Into Your Diet! 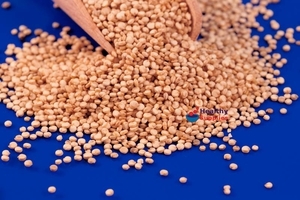 How To Use Sprouted Seeds - 5 ideas to get you started! 10 Grain-Free Recipes That Seem Surprisingly Normal! Five Ways to Enjoy a Healthier Hot Chocolate! Seven Curry Recipes to Inspire You! 10 Recipes to add Porcini Powder to!